I was in Oakland Chinatown for the past two days preparing for Chinese New Year. This may be the most chaotic of all weekends. 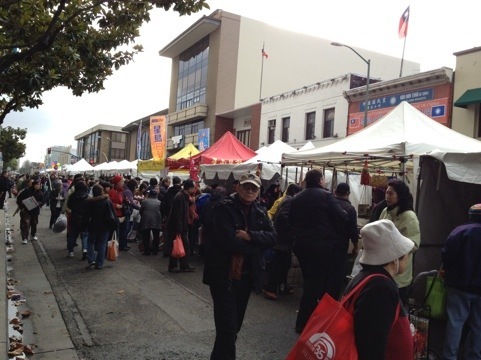 The community has to buy food and it is the Lunar New Year Bazaar. I acted as the chauffeur and the caddy for my mother yesterday as she went to various stores to buy pounds and pounds of groceries. This morning I was on my own to get a few remaining prepared foods. I arrived at about 9:15am which is probably the earliest I have ever been to Chinatown. Prior to today, noon is a typical time for me to show up in Chinatown on any given day. 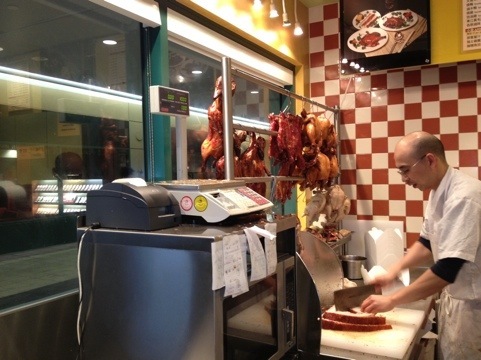 I was on a mission to make sure I could get a roast duck and roast pork. 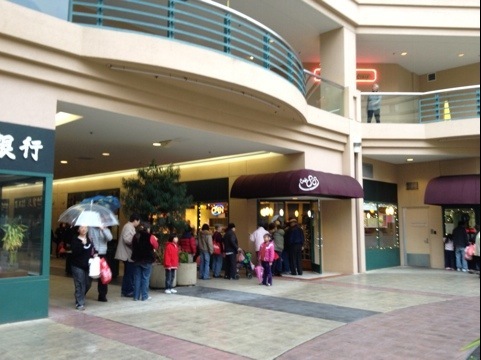 Every Chinatown storefront selling roast meats had a line. I went to Cafe 88 inside the Pacific Renaissance Plaza. After about a twenty minute wait, I was successful. The other item I wanted to get were fried sesame balls or jin deui. We picked some up yesterday, but most of them got eaten up quickly. My mom wanted to make sure we had some for tomorrow, New Year’s Day. Chinatown would be a ghost town on New Year’s Day, so today would be a last ditch effort. 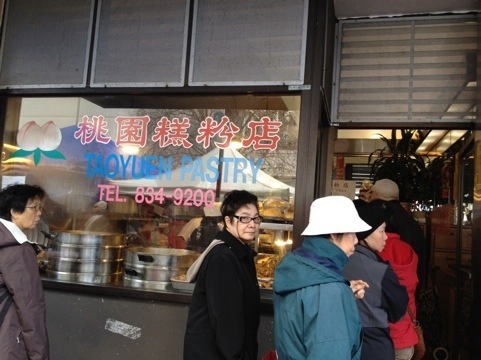 Tao Yuen Pastry on 8th and Franklin may have the best fried sesame balls in town. I’m not the biggest fan of them, but when they are warm, they can be exquisite. The consistency is chewy and crispy. Fried sesame balls are made of a glutinous rice flour mixture that is filled with a sweet lotus paste, dipped in sesame seeds and deep fried to a golden brown. The line at Tao Yuen was also out the door. Another twenty minute wait left me successful. 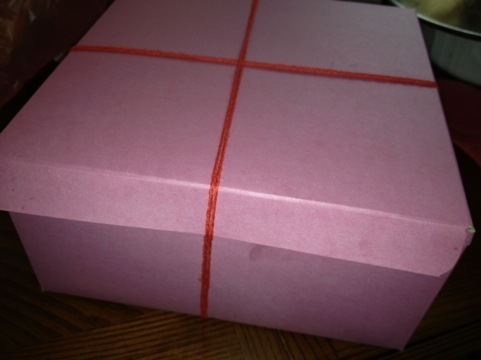 I left Tao Yuen with my pink box tied with red string. 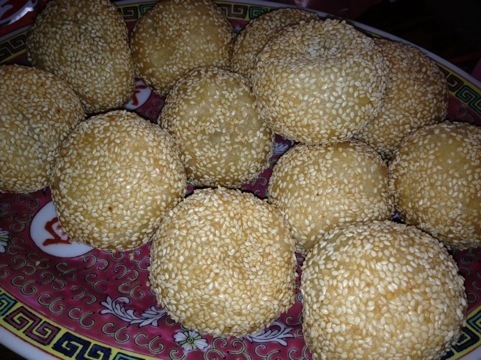 Fried sesame balls are something very common to find in dim sum restaurants, but they hold special meaning on Chinese New Year’s Day. The round shape, the sweet flavor, the way it expands when cooking, and the golden color are all significant. It all means wealth and good fortune. With less than two hours until Chinese New Year, I feel prepared. I’ve cleaned up, vacuumed, cut and washed my hair. It’s going to be the Year of the Dragon and I wish everyone health, wealth, and happiness. P.S. A fried sesame ball equals 7 Weight Watcher points. Half a sesame ball is not too bad! P.P.S. Last year’s Chinese New Year blog post can be found here.